The 2019 Acura TLX is built to offer Buda drivers the luxury sedan feeling without asking for the luxury price. You’ll have excellent fuel economy, a powerful engine, and premiere safety features. Browse our inventory below find your perfect model. Why Buy an Acura TLX? Ready to step into the TLX for yourself? Visit our Austin Acura dealership today to find the perfect TLX model for you. If you have any questions or concerns, please feel free to contact us beforehand. 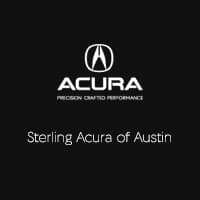 At Sterling Acura of Austin, we’re dedicated to helping you find your dream car.